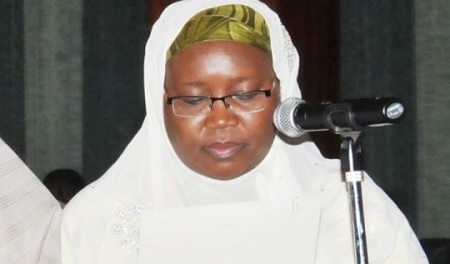 THE the Independent National Electoral Commission (INEC) has removed Aminat Zakari as a results collation officer of presidential poll and other strands of elections following an outcry by the main opposition, the Peoples Democratic Party, PDP that the commissioner is a relative of President Muhammadu Buhari. Amina Zakari was part of the commission's REC in charge of results collation for Presidential poll and other national election. A decision the opposition PDP vehement cried fouls about, stating she is a niece to President Muhammadu Buhari. According to a source, who spoke in strict confidence, neither the widely-criticised National Commissioner Amina Zakary nor any of the National Commissioners will be involved in the collation of presidential poll results.